And if you want to easily clean the sludge and muck off your homebrew equipment, then alkaline brewery wash might just be the magic cleaning powder you are looking for. Some brewers claim it works even better than PBW! Safe to come into contact with skin as it is non-caustic but we'd recommend you take precautions such as using safety gloves and avoiding getting it in your eye. One of the most popular washes is the Craft Meister ABW, check out the price on Amazon. You can use it as a spray from a bottle or do a soak. Many brewers like to leave their equipment soaking overnight to ensure it really gets the job done. It works on kegs and carboys, kettles with no issues. Given the washes ability to dissolve organic matter, it works really well on bottles when you need to get rid of that sludge that gets left at the bottom - especially if you don't clean a few for a while and it dries out. 24 hours in an alkaline bath will sort them out, ready for bottling day. It will also work wonders on your glass wear! "It seems a little better than PBW. I've used this to clean brewing equipment, as well as to soak and scrub etching marks from drinking glasses. A very effective cleaner." How much wash do I use? For equipment like fermenters and bottles use 1 oz (2 scoops) per gallon of water. For heavier jobs like brew kettles use 2 oz (4 scoops) per gallon of water. 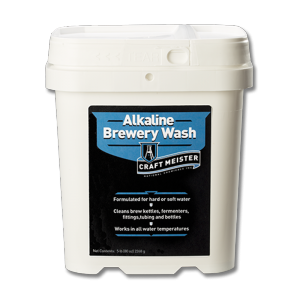 Is Craftmeister's Alkaline Brewing Wash better than PBW? While both products are quite similar in their make up, there's some debate. Many brewers sweat it performs better than PBW, especially in cold water. It's more expensive so you have to weigh it up - what's worth more to you time or cost savings? If you want to use a cheaper product, use a sodium percarboante laundry soak. "Yes, it's pricey, but holy cow this stuff is magical. I've been pumping it around my rigs for years but you can't see the inside of a hex to appreciate how well caustics can work." "This cleaned spots in my glass carboys that PBW could never get rid of"
So what are you waiting for? Check out the price on Amazon. What are the active ingredients of Craftmeister's alkaline wash? On the safety certificate, National Chemicals (who produce the brand) state there are some other ingredients that are nonhazardous but are of a propriety nature so they do not disclose their full composition. It's important to note that many other products out there are referred to alkaline wash powder for things like foot fungus and eczema. These products are made of different chemicals! If you think the Craft Meister ABW might be for you, check out the price on Amazon. 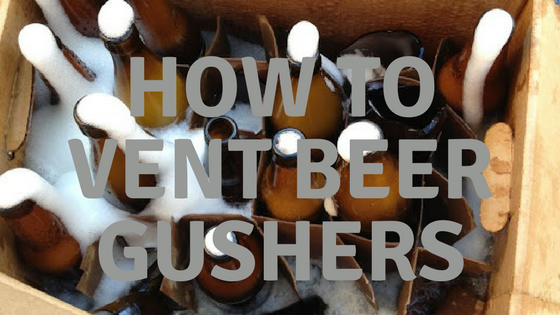 Have you ever had a beer gusher? You casually open your beer and whoosh! 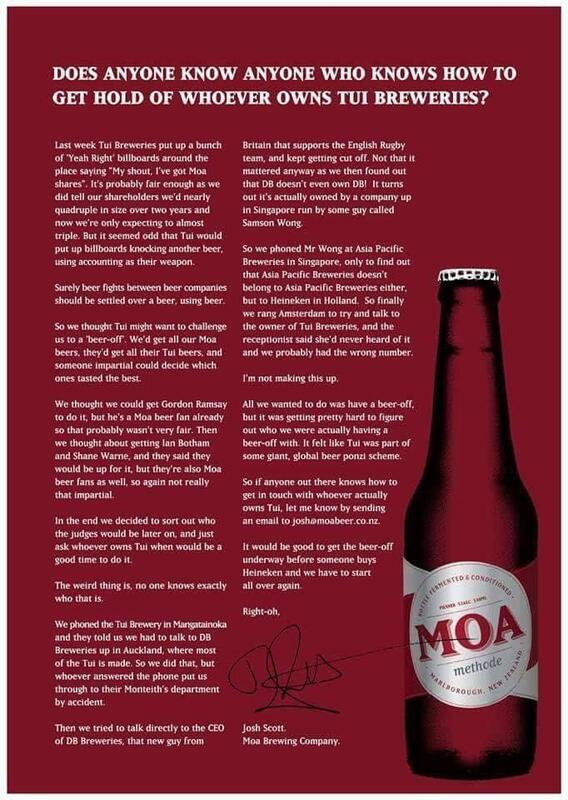 There's beer foam all over the bloody place. The fizz is the result of over carbonation. There could be a few of reasons for this. 1. You bottled too soon and fermentation continued. 3. You added too much sugar at bottling time. All these factors you have a strong degree of control over. If you've bottled too soon, you should have taken a final gravity reading and determined that matched the kind of beer your making and that you had the same reading two days in a row. If your beer is infected, it's quite likely you didn't clean and sterilize your equipment and bottles properly. I've said this a million times on these pages, you got do the basics and do them well. And if you added too much sugar, you might want to rethink your practices. If you batch primed, how much sugar did you add? From my experience 40 - 60 grams is enough sugar to prime 23 litres of beer. Any more and you will quite likely get gushers. If you added sugar individually to each bottle, then you clearly added too much sugar. I used to use a good amount of sugar, now I try and use half a tea spoon of sugar. It's more than enough. If you want a consistent and safe measure, you can always consider using carbonation drops when bottling your brew. To fix over carbonation, vent your beers individually. The technique is that you gently pry the bottle cap open so that only a part of the cap is exposed, let the CO2 escape and then quickly recap. You need to all of this before the gusher occurs! If you are clever you should be able to use your bottle opener to both open and close the cap with the same action. It will be a long, painful process and you'll likely need to repeat the venting on each bottle if there is a lot of built up pressure. I have found in the past that the colder the beer is, the less likely it is to gush or be too fizzy or foamy. Thus I would recommend that you leave your beers in a fridge for 24 hours before attempting this little rescue job of your beer. And that means glass can explode. I've seen the result in my man shed - green glass everywhere and the dank smell of wasted beer. If your under pressure beers are at that much of an extreme point you should ask yourself is it safe to vent? While beer bottles are generally tough, the risk is there so I'd recommend you use gloves and a good pair of safety googles or glasses. What's the lesson here then? Enthusiastic home brewers know that a beer brew that is properly pH balanced will produce excellent drinking results. Getting the pH level right is really important for getting the brewing results you want, especially when one invests some much money into gear and ingredients, let alone your time. 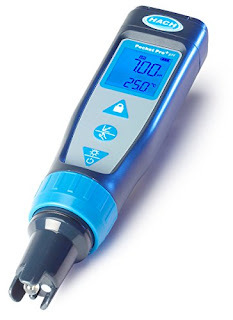 That's why many beer makers use the Hach 9532000 Pocket Pro+ pH tester to get the results they need. The Hach company says that it's Pro+ is engineered to deliver accurate results. Backed up with built-in performance diagnostics, you never have to guess when to clean or calibrate the sensor. You also get replaceable batteries for convenient field use, and a large, easy-to-read LCD screen. Instructions are found in the manual, which can be downloaded. All those specifications are nice and all, but what do brewers who have actually used and tested the Hach meters have to say? "Hach makes pretty reliable products and the pocket Pro is no exception to that. It is easy to use and pretty hardy, we use them at work and they hold up well. This model does not have the replaceable tip, but they make one if needed. 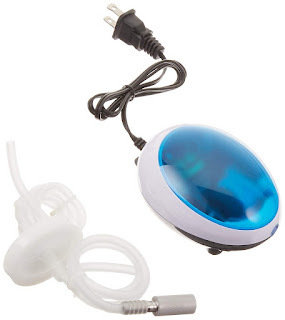 I use this meter at home as well for pool pH checks that are quick and easy. It only comes with a single buffer of 7, so you may want to get a 4 and 10 buffer, to allow a 3 point calibration." "Works very well, I do recommend calibrating the unit soon as you get it and it will be correct"
"I am very pleased! fast and easy and stable"
"Works great for my home brewing"
What are you waiting for, order the Hach from Amazon. If you don't think the Hack Pocket Pro is for you, check out our buyer's guide with further ph tester options. If you're new to using a ph meter, check out guide for mistakes to avoid when checking pH levels. Adjuncts are unmalted grains (such as corn, rice, rye, oats, barley, sugars, and wheat) or grain products that are used in beer making to supplement the main mash ingredient (which is usually malted barley). Under the German Beer Purity Laws, and adjunct could really be considered anything which is water, barley, hops, and yeast but that's just being a bit German eh? Honey, maple syrup, molasses, other sugars like jelly beans. The reasons for adding an adjunct are varied. Some brewers will seek them for head foam retention, flavour or even to cut costs! There is another reason why brewers use high-adjunct beers, and that's to make high alcohol beers. By adding extra sugars, for example, the yeast will ferment that in addition to the malt, thus produce more alcohol. When adding adjuncts to the beer one needs to understand that this can hamper an efficient fermentation as the yeast can tend to get a bit overwhelmed by all the extra sugar. To adjust for this, brewers who are looking to brew a high ABV beer, will add a yeast nutrient to give the yeast some respite from all the sugar. Use simple sugars such as that from corn can be used to lighten the beer body and encourage a good rate of attenuation of your high-gravity styles. The addition of flaked barley or rye can promote a strong head and a full body (which is good for mouth feel). Tossing in a handful of flaked oats is known to result in silky mouthfeel. Flaked rice, when matched with an earnestly hopped pale lager, is another method of changing the taste profile. Yeast, that magnificent beast of an organism that converts sugars to alcohol, is the key to fermentation. Fermentation itself a fairly straightforward process but there are a lot of variables at play to ensure that you get a good tasting beer, let alone a brew that tastes like you intended! Temperature, time, pH levels and oxygen are key factors. An overlooked one is often yeast nutrition. Does your yeast need nutrients? The malt in your beer is usually enough to sustain the yeast cells but in order to thrive (and thus efficiently ferment your beer wort and achieve a high attenuation) other elements such as levels of free amino nitrogen, fatty acids, and even vitamins and other minerals come into play and become factors in a successful brew. The truth is though, you could do a hundred brews and never need it but if you a looking for high attenuation rates or a brewing a beer with a high ABV, it may help as you need a strong yeast to achieve those two goals. When should I use a yeast nutrient? You may also consider using a nutrient if your water is lacking in calcium, magnesium, and zinc as these metals. Zinc can help with the cell count while magnesium helps with cellular metabolism. If your beer is using a high proportion of 'adjuncts', you'll want to consider supporting the yeast too. Sugar alone does not support the yeast so if there's a higher concentration of sugars in your beer, then a nutrient may assist yeast development. If you are making wine or cider or mead, you would be more likely use nutrient as there is less for the yeast to make do with than in the malty beer wort. Honey,. for instance contains no nitrogen. 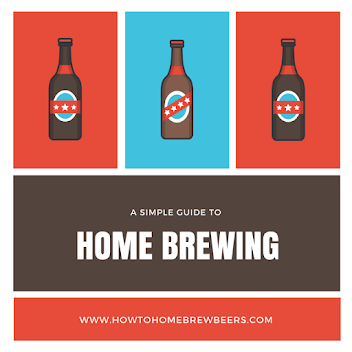 To cover some of these factors off, many home brewers choose to add yeast nutrient to their beer batch. The other benefits of adding a yeast 'energizer' include the shortening of the 'lag phase' of fermentation can contribute to a reduction in off-flavours in beer or wine. Yeast food may also help reduce the final gravity by invigorating the yeast pushing it to a more complete fermentation leading to a reduction of diacetyl or acetaldehyde (that apple flavour). Yeast hulls - dead yeast of which the residue acts as a home for live yeast. Live yeast will eat the hulls and feed on the nutrients contained therein. 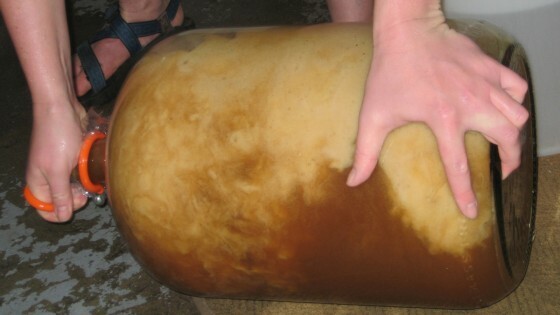 Yeast energizers are used to stimulate or restart a stalled fermentation. Can I add yeast nutrient to my starter? You sure can. Brewers will often add about a quarter teaspoon to their starters. Bread bakers have been known to add it to their sourdough starters! When should I add yeast nutrient to my brew? It should usually be added at the start of fermentation. If you are using an energizer you will most likely be adding it when fermentation has failed or halted. How much yeast nutrient should I add? Manufacturers typically recommend 1 gram per litre or 1 teaspoon for 5 litres/1 gallon. There should be instructions on the packaging. "Servomyces enables any yeast strain’s ability to incorporate essential nutrients into its cellular structure. It is propagated in a micronutrient rich environment and then killed off prior to packaging. Boiling incorporates the servomyces into the wort. The benefit of servomyces is that micronutrients, e.g., zinc are able to pass through its cell walls to your live cell yeast cell, thereby delivering the micronutrients without toxicity." Check out what White Labs have to offer on Amazon. So if you batch is short of zinc, then using Servomyces may be the right option for you. If you are doing a boil, it is recommended you add one capsule ten minutes prior to the end of the boil. If doing a kit brew, you can open the capsule up and add the Servomyces directly to the wort. The best aeration pumps provide an efficient and inexpensive way to aerate the wort in your primary fermenter. An aquarium pump forces room air through a properly sanitized tubing. The air is delivered then delivered the wort through a diffusion stone. This promotes rapid absorption into the wort. So what pumps do this the best? Smarter brewers than I have worked out that your wort should ideally have an oxygen level of 8 ppm (parts per million) before pitching the yeast. The reality is that many brewers only achieve between 2.5 - 4.5 ppm if they do not aerate with a pump. By using this wort aeration system you can probably easily double the oxygenation you might normally be getting. What are you waiting for? Incomplete fermentation to occur? Check out the price on Amazon. The Eagle Aeration System does what you want it to do, quietly and effectively. Attach the ⅜-inch transfer tubing to the unit and your stone and you will be aerating in no time. There’s not much more to say about this unit, it’s basically 'plug and play' once you’ve submerged the stone at the base of the fermenter. Just bear in mind that the tubing (as with all pumps) will be wound up on arrival due to packaging constraints so you may want to stretch it out a bit so it settles on the bottom of the fermenter. Here’s a funny thing we learned. Diffusion stones are not actually made of stone. They are actually made of stainless steel which is added to a porous mold. They do work a treat in making bubbles get that oxygen into your beer. You’ll want your stone to have a micron level of between .5 to 2 microns. This is pretty standard for brewers. When using a diffusion stone you’ll want to ensure that you’ve sanitized it in an appropriate sanitization solution (don’t forget the tubing as well!). I’ve read some punters warn that your hand can leave natural oils on the unit which can then clog it up - I say if you’ve washed your hands prior to use, then you should be fine. It can be hard to attach a diffusion stone to the tubing. Instead of trying to force it in, place the end of the tubing in some near boiling water for a short time. This should soften the tubing enough so you can insert the stone’s connector part. When placing your stone in the wort, you want it to get to the bottom of the fermenter, not near the top. If your tubing is a bit curly, you may want to try and straighten it out. If this continues to be a problem, you may wish to consider using an oxygenation wand which will sit quite nicely in the fermenter, ensuring the oxygen bubbles start at the bottom and filter into to the whole wort. While in some ways beer brewing is simply following a recipe but it sure is not like making a cake. There are some many variables at play. How much hops do I need to add? There's also one more variable that sometimes gets overlooked in the brewing and bottling processes and that's the role that oxygen plays in fermentation. Oxygen supports yeast growth and effectively then has an influence on the ABV of one's beer so understanding the best way to manage this element will help improve your beer drinking experience. The yeast in your beer requires the presence of oxygen so that is can develop new yeast cell walls. The oxygen is used to develop unsaturated fatty acids and sterols, of which the yeast membrane is built. Good oxygen levels promote strong yeast which in turn means it can handle high alcohol concentrations which means it was last longer and do a better job on your beer. An efficient yeast means one gets quicker fermentation times and a reduce chance of a stuck fermentation. This also will mean that you will get fewer off flavors in your beer. We made reference to it above but if you intend to make a high alcohol beer, you need to create an environment where the yeast can handle that - and a strong yeast is key. At the same time, you are probably intending to pitch your yeast at a higher rate than you would for a 'session beer' so, all things being equal, you'll want to increase the oxygen ready to be used by that yeast. Before you aerate your wort the first thing to consider is WHEN. If you aerate when the wort is too hot (this includes being warm) there is a vastly increased change the oxygen will bind to wort particles. If this happens, the risk is that over time these compounds will begin to break down, adding the oxygen back into the beer. The harm occurs as the oxygen can tend to oxidize the hop and alcohols. This can produce 'off flavors' which are often described as being like 'wet or damp cardboard' or sherry like. We discussed above that aeration at hot temperatures is undesirable - so cooling your wort quickly is the best thing you can do. Using a wort chiller will quickly bring your beer down to the right temperature so you can pitch your yeast but before you pitch, it's the time to oxygenate. If your wort is in a glass carboy, cover the mouth of the carboy with a cap and gently rock the carboy back and forth to encourage oxygenation of the wort. You can do this with a plastic fermenter too. Just make sure you have a firm grip! If you're making a beer with a kit, once you have the kit in (along with hops and brew enhancer) then I fill it up with water from the garden hose. This will easily add plenty of oxygen to the wort. Once your beer is in the fermenter and fermentation is to begin, it's pretty simple to keep the oxygen out - you need to ensure the drum or carboy is tightly sealed and that your bubble airlock / air vent has water in it. Then try not to move it again! When bottling your beer, a bottling wand and a steady hand will help to prevent aeration. Do not leave your filled bottles uncapped for too long either! Add an agitation rod into a drill such as this mixer. Whichever agitation method s used, make sure that your implement is clean and sanitized to prevent risk of infection. Another great method is to use a pump system for aeration. Check out this instructional video on how to configure the pump. If using an aquarium fish style pump, you need to make sure the diffusion stone is clean and sanitized and is small enough to fit into the neck of the carboy. The stone also needs to have a small micron level of between .5 to 2 to ensure lots of gas bubbles are produced. For best results, aerate your chilled or cool wort for 20-30 minutes. When you're racking to a secondary fermenter or to your fermenting bucket it's imperative to prevent the liquid from splashing or getting agitated. When using a siphon it's best to keep it smoothly flowing. Do I have to oxygenate my beer? You do not need to proactively aerate your beer, fermentation will still occur. The point of aeration is that you are trying to give the yeast a leg up. That said, some brewers are known to starve the yeast of oxygen as this assists with the beer profile they desire. This process is called anaerobic fermentation. Beware the krausen! A watched pot never boils right? This rule doesn't apply on brewing day. 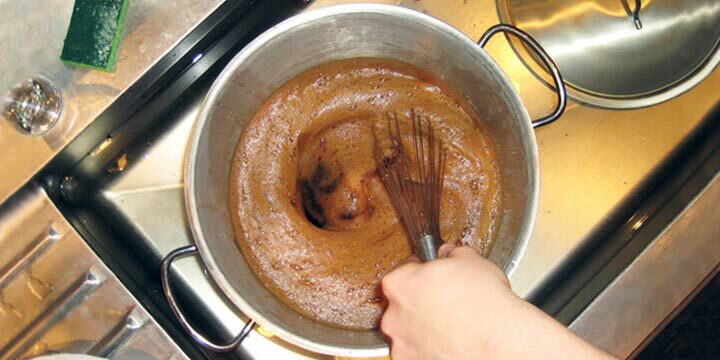 Even though you are paying keen attention to your boil, it takes but a second for a boil over to happen, making a mess and causing you to lose wort. But what if there was a way to stop boil over? Some pundits recommend that you add marbles or ball bearings to the brew to help boil over. Or use a spray bottle of cold water whenever the foamy beast raises its head. But if you want to make sure you don't suffer a boil-over, try using a foam inhibitor! Foam inhibitor or 'defoamer' is a handy trick to keep your beer from boiling over. A popular product is 'Fermcap-S'. A fancy way to describe it is that it is a "silicone based food-grade emulsion". There are two main ways to use it - during the boil and during fermentation. If you choose to use 'Fermcap-S' to prevent boil overs on the hot side, add 2 drops per gallon for a nice rolling boil. If you wish to use it in your carboy or fermenter to prevent the krausen from escaping the fermenter, then the dosage is only 2 drops at the start of fermentation. If you didn't know, the krausen describes the foamy head that develops on top of fermenting beer. If you have added your inhibitor during the boil, there is no need to add any to the fermenter as it will carry over. When used in the fermenter, 'Fermcap-S' increases the bitterness of your beer (retained IBUs) by about 10 percent. This sounds dandy but why should I use a foam inhibitor? Boil-overs are more likely to be a problem if you are using a smaller pot. Users of fermcap have reported being able to make a 5.5 gallon batch in a 7 gallon pot. While mess is annoying, the real reason you want to prevent this is that the foaming can cause any top-fermenting yeast to be expelled from the fermenter before it can do its job in the wort. This then requires the rest of the yeast to work harder to achieve the final terminal gravity which will not necessarily occur if yeast lost has been significant. There is also another sweet effect of using an inhibitor like Fermcap it actually can help retain the IBUS from the hops - that is to say, it can help your beer become even more bitter when the product is added to the primary fermenter. Beer is supposed to be foamy! This seems an odd product to use? Using anti foam may seem to be a counter-intuitive idea. It would seem fair to consider that putting something in wort or fermenting beer to control foam will also kill the head on the finished product. However, when anti-foams are used properly, quite the opposite is true! Instead of silicone based products, you can also try vegetable oil versions. Vegetable oil is a known yeast nutrient and will be consumed by the yeast during fermentation of beer before bottling or kegging. Big commercial breweries often use defoamers and anti-foamers as part of their beer processing but given that it's not really within the spirit of purity brewing, it appears not many commercial operations will freely admit to adding silicone based products to their beer! So what are you waiting for? Here's the cheapest Fermcap I have found on Amazon!